Muriya Puno Mela is a five days long duration which starts on Ashadha Navami (during Shukla Paksha) and culminates on Guru Purnima day. The last day of Mela is famously known as Muriya Purnima. In 2013, Muriya Puno Mela would begin on 17th July and end on 22nd July on Purnima day. Muriya Puno Mela is held in Govardhan town of Mathura district. 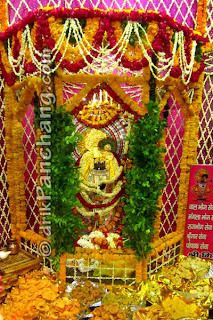 During these five days devotees perform Parikrama of Govardhan Hills and Radha Kunda. Thousands of devotees walk barefoot for 12 and 9 kilometers respectively to pay homage to sacred Govardhan Hills and water body revered as Radha Kunda. The other important rituals include holy bath in Manasi Ganga and visit to Dhanghati temple. Govardhan Hills are sacred because those were used by Lord Krishna to shield people of Braj from the fury of Indra. 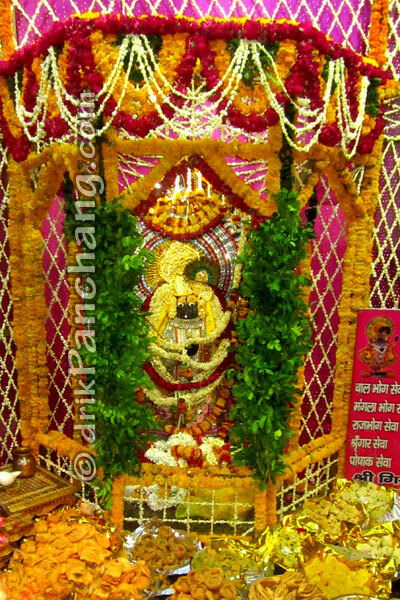 Radha Kunda is worshipped because it is believed that Lord Krishna dug it with His flute so that His beloved Radha Rani can take bath in it. Muriya Purnima is also significant day for Vaishnavas and followers of ISKCON. On this day famous Vaishnava Guru Sanatan Goswami disappeared from the Earth. In mourning of the Guru it is customary to shave the head and this ritual is known as Muriya or Muria. It is believed that Mela got its sobriquet from this Muriya ritual. The event is so huge that it is also known as Mini Kumbha and gets special attention from the state government.